Make this year the year that you enjoy the holidays instead of living life in a stress-filled ball of anxiety. Follow Real Simple’s tips to make this holiday season the best yet! Often stress at the holidays comes from holiday shopping’s strain on your pocketbook. Spend less money by choosing a group gift that everyone in the household can enjoy. 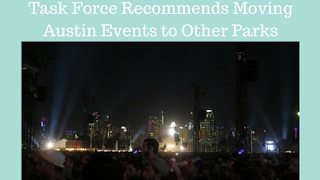 Or get everyone tickets to the same show, movie, or concert and wrap each person’s individually. Buy several small, stocking stuffer type gifts, rather than one large expensive one. That way you stretch out the process of gift opening and can get gifts more tailored to the recipient’s personality. Give your loved one an IOU certificate for something they really could use taken off their plate. Babysitting, offering to cook, do dishes, or clean the house are all good options. Just be prepared to step up to the plate when it’s time to follow through on the chore. Does trying to capture the perfect family photo for the Christmas cards fill you with anxiety? Try putting everyone in front of the tree (just be sure to turn off the flash and take the photo in the daytime). Worried Jr. won’t cooperate when it’s time to sit on Santa’s lap? Show them pictures from your childhood of happy Mom or Dad with Santa, or watch other kids getting their photos taken. If all else fails, take comfort from the fact that the crying kid on Santa’s lap photo is always a classic. Regifting is a great way to find a new home for objects you may have received that didn’t work out, but make sure it’s never been opened, make sure the person who gave it to you and the new recipient don’t know each other, and be sure to rewrap the new item. Also, make sure it’s something you would have gotten the new recipient anyway. Ready to find a new apartment for the holidays? Apartment Specialists South Austin can take one worry off your lap: the apartment hunt! Give us a call today at 512-912-8000 to find your dream Austin apartment! A Yelp ranking has put Austin at number two on a list of the best cities in the US to shop local, the Austin Business Journal reports. San Diego claimed the top spot and Austin was the only Texas city to crack the top 10. The closest Texas competitor was Houston, which was ranked twelfth. 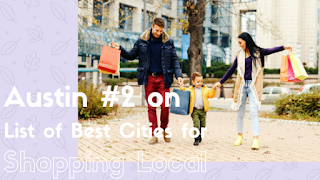 Yelp came up with the list by assigning cities a “gifting score”, which was derived by counting how many users put the word “gift” in their reviews for non-chain businesses. Yelp also found that 64 percent of Americans over the age of 18 have plans to do their holiday shopping locally and have budgeted $324 on average, 26 percent more than 2015. In another survey, WalletHub found that Austin residents plan to spend $714 on average on holiday shopping this year. Austin’s biggest shopping areas by Gross Leasable Area, (or GLA for short), are The Domain, Southpark Meadows, and Barton Creek Square Mall. Looking to find a new apartment for your Christmas gift to yourself? 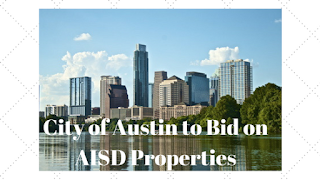 Give Austin Apartment Specialists a call today at 512-241-1111! Although rents in Austin went down slightly this summer, they are back on the upswing, CultureMap Austin reports. The median rent for a one-bedroom apartment is now $1,120, an increase of $10 from June 2016. However, the increased rental rates are higher in some areas of Austin than others. Rent in the area around UT grew 6 percent over last quarter, which is faster than a lot of other areas. This is likely due to the fact that college students are back on campus for the Fall semester. However, rent for a one bedroom in that area is $1,000 a month, making it cheaper than many of Austin’s most expensive areas. Downtown Austin is, not surprisingly, the most expensive area of town for renters. A one bedroom there is $1,880, a $20 increase from the summer. A one bedroom in Old West Austin is $1,615, in Central East Austin it’s $1,550, in Zilker it’s $1,550, and in East Cesar Chavez it’s $1,530. 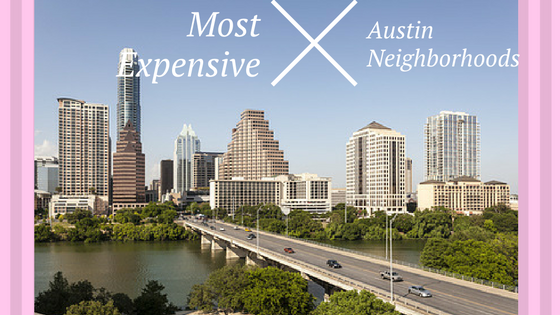 Those are the top five most expensive areas for renters in Austin. If you’re looking for a deal on an apartment, Windsor Park’s rent of $850 and Montopolis’ rent of $890 for a one bedroom make them the most affordable neighborhoods in Austin. Even though Austin’s rent is high, it’s still only the 26th most expensive place to rent in the country currently. Even Dallas is more expensive, with rent $1200 for a one bedroom there. 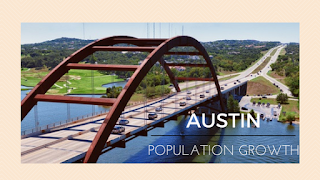 Concerned about finding an affordable apartment in Austin’s tight rental market? Don’t fret, there are solutions and the first step is calling an experienced apartment locator. Austin Apartment Specialists knows the market and we love what we do. We can show you several apartments that fit your budget in one quick appointment. Plus our services are absolutely free! Give us a call today at 512-912-8000 to find your dream apartment! 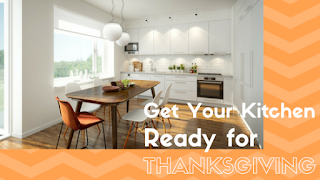 Get your kitchen ready for Thanksgiving with these handy tips. Apartment Therapy suggests cleaning your refrigerator. This is my most dreaded home cleaning task, but if you don’t do it now, you’ll be desperately trying to shove things around to make room for your Thanksgiving groceries. You don’t need that kind of stress in your life! So get rid of all the leftovers, expired condiments and anything that doesn’t belong. Consider getting an ice chest to store drinks so you don’t waste precious refrigerator space. Apartment Therapy also warns that your countertops are going to be full of items for the feast, so get to cleaning them off now. Banish any items that aren’t absolutely necessary. Consider getting a rolling cart to store extra items. It can become a bar cart or dessert cart for the big day and beyond. Clean out your pantry of any unnecessary or expired items. Donate unexpired canned goods to a local food pantry. Now is not the time to buy in bulk, so buy smaller packages of your necessaries to make sure you have room for all the things you’ll need for Thanksgiving. Make sure all your dish towels and dishrags are clean and ready for the big day. Not only will they be necessary to wash all those dishes, but to clean up spills, which are inevitable. Consider getting some fancy hand soap. When guests come over, they’ll appreciate the touch when washing up. Finally, on the big day, start the big event off with an empty trash. Keep a close watch on the trash throughout the day as well. People tend to just shove more trash in rather than alerting the host that it's time to empty it. By monitoring the situation (or assigning a guest to), you can avoid leaky garbage bags on the way to the trash cans. Want to entertain, but your apartment is way too small? Give Austin Apartment Specialists South a call today at 512-912-8000 and we’ll help you find an apartment with plenty of room for you and your guests! 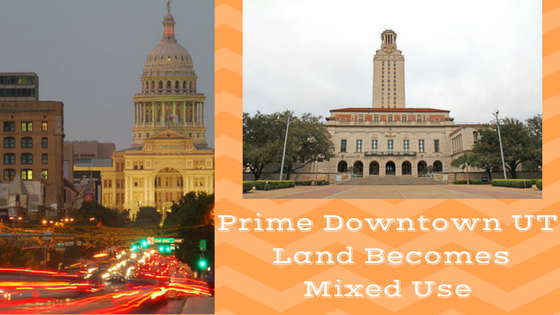 A prime spot in downtown Austin that has been owned by the UT System for years will be redeveloped, the Austin Business Journal reports. Block 71, as the area is known, comprises 1.6 acres and is not in the Capitol View corridor, meaning there are no height restrictions on what can be built there. It is located between West 7th, Colorado, West 6th, and Lavaca streets. 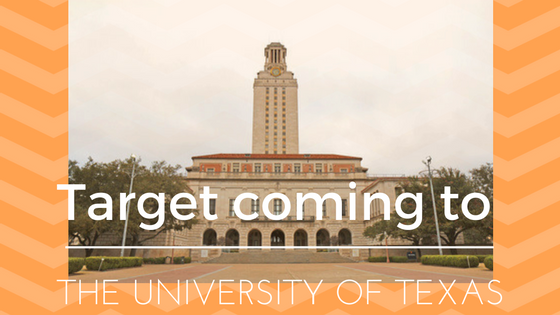 Currently it houses several UT System departments which will soon be moving to the OneUT System tower which is under construction at the north side of 7th street between Colorado and Lavaca, and is projected to be complete next summer, with the first employees moving to the building in the Fall of 2017. 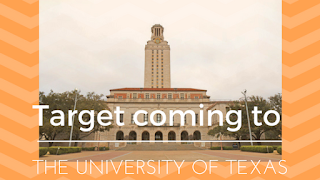 While most of what is now standing on Block 71 will be torn down, the UT System has asked Trammell Crow, the developer of the new project, to save the south and west fronts of Claudia Taylor Johnson Hall, located at Lavaca and Sixth. It was Austin’s seventh post office in 1914, and is named after President Lyndon Johnson’s wife. Once the parking garage, nine-story tower, and plaza are all torn down, the new project is expected to have both residential and commercial space. The new development, combined with the retail that will be on the ground floor of the OneUTSystem tower, will provide a connection between that part of downtown and the entertainment areas to the west and east. Currently that area has absolutely nothing open at night. The amount of space available to develop in downtown is very small, so this is an exciting opportunity to build more residential units in the heart of the city. 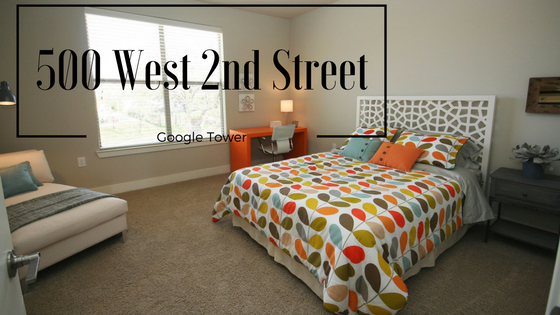 Are you looking for your own little square of downtown to call home? 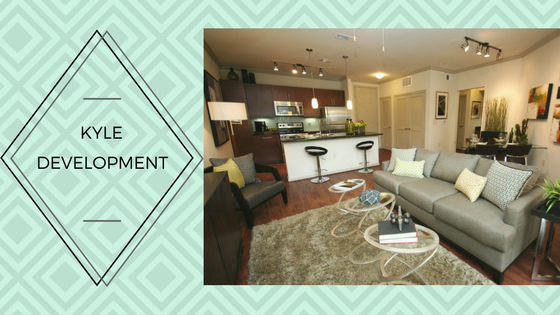 Give Austin Apartment Specialists a call today at 512-241-1111 and we’ll help you find the perfect apartment in downtown Austin or beyond! Kyle is seeing a new hip development aimed at young professionals, the Austin Business Journal reports. The two story development in downtown Kyle has six offices on the first floor which average around 842 square feet. They will lease for $2 per square foot. There are six 836 square foot apartments on the second floor that will rent for around $1,000 a month. The goal of the developers, Phil and Sterling Howry, is to provide affordable, cool creative space for young people who can’t afford Austin’s high cost of living. The intended renter is a young professional who doesn’t have children and perhaps works at Seton Medical Center Hays or is teaching in San Marcos. The apartments will have en suite baths and a half bath for guests. Finishes include standard quartz counters and frameless shower surrounds in the bath. The apartments and offices should be ready for move-ins by the fifteenth of this month. There are already several commercial tenants signed on to rent. The property was bought two years ago and the developers say that Kyle’s government made the project relatively easy to develop. They aim to have this project be the beginning of a renaissance of interest in downtown Kyle. Kyle is experiencing a boom right now, and it’s perfectly positioned between the rapidly expanding towns of Austin and San Marcos. 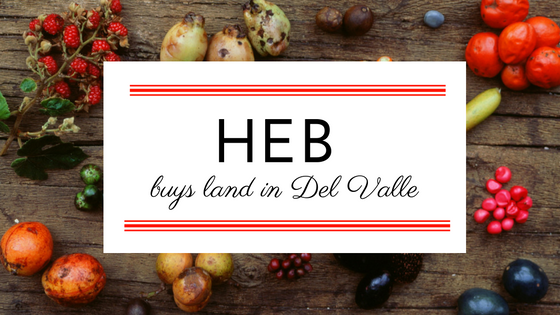 There are many apartments to love in this growing little town 23 miles from downtown Austin. The Green at Plum Creek has one, two, and three bedroom apartments featuring granite counters, glass tile backsplashes, and custom shiplap islands and peninsulas in the kitchen. The community has exclusive golf club access, a putting green, Yoga studio with video on demand instruction, wine storage, and even roadside assistance! Hays Junction is a brand new apartment community with one and two bedroom open floorplans ranging from 570 to 972 square feet. Apartments feature 36” oval soaking tubs and linen closets in the bathrooms, nine foot ceilings, large closets, full size washer and dryers, and kitchen pantries. Amenities include a social calendar with activities, door-to-door trash pick-up, dog park, complimentary towel service in the fitness and pool areas, a clubhouse with free Starbucks coffee and so much more! Oaks of Kyle is another newly built community with an outdoor fireplace, gourmet coffee bar, cabanas and outdoor televisions, a gaming area, covered parking, and garages available. There is crown molding, hardwood floors, private patios and balconies, washer/dryer hookups, 2” wood blinds, granite counters, and extra storage in the one, two and three bedroom units. Settlement Kyle’s one and two bedroom apartment homes have maple shaker cabinets, nine-foot ceilings, plush carpeting, computer workstations, and energy-efficient double paned windows. Amenities include available breezeway storage units, detached garages and covered parking, resort-style swimming pool, and a fitness center. Ready to make your home in Kyle? Give Austin Apartment Specialists South Austin a call today at 512-912-8000 to find your dream apartment in Kyle or Austin! The new highrise that will be home to Google, among other things, has reached its top height, the Austin American Statesman reports. 500 West 2nd Street will have 500,000 square feet of office space, of which Google is leasing 200,000 square feet. The building will also have 11,000 square feet of restaurant and retail on the ground floor. Other companies signed up to lease space in the high-rise include international law firm King & Spalding and CBRE Group Inc, a global commercial real estate firm. 500 West 2nd Street is 60 percent leased. The building is part of a redevelopment of the Green Water Treatment Plant on the western edge of downtown which includes a new central library. Seaholm Power Plant has already become condos, offices, restaurants, stores, and a Trader Joe’s. The new development will have a total of 1.8 million square feet that will include apartments, condos, offices, hotel rooms, stores, and dining. Austin Proper Hotel and Residences, which will be 33 stories with 244 boutique hotel rooms and 99 luxury condos, is already under construction. Condos will be priced from $600,000 to over $3 million. Northshore, which has 38 floors with 439 apartments, stores, restaurants and offices, is already open. If you can’t wait for the new apartments to be open, there are plenty of options in the area around the Seaholm redevelopment. AMLI Downtown is great if you’d prefer a mid-rise apartment over a high rise downtown. Amenities include a fitness center, some units have downtown views, and they welcome large pets. The one and two bedroom apartments have concrete floors and black appliances. Amli on 2nd’s one and two bedroom apartments feature chef’s kitchens with granite counters, maple or urban expresso cabinets, breakfast bar with pendant lights, ten-foot ceilings, polished concrete floors, and floor to ceiling windows. The community has available interior resident storage rooms, a resort-style pool, and convenient residential and retail parking garage. Gables West Avenue’s features include hardwood and stained concrete flooring, island kitchens, built-in bookcases, spiral staircases, wood-burning fireplaces, and panoramic city views. The community has a rooftop terrace, poolside grilling area, fireplace grotto, lounge overlooking Shoal Creek, fitness center, and street level retail. Ready to call the 2nd street district home? 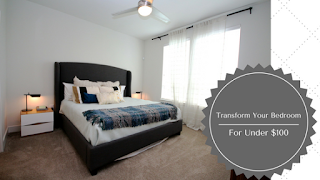 Give Austin Apartment Specialists South Austin a call today at 512-912-8000. In one appointment, you can explore all the apartments in Austin! 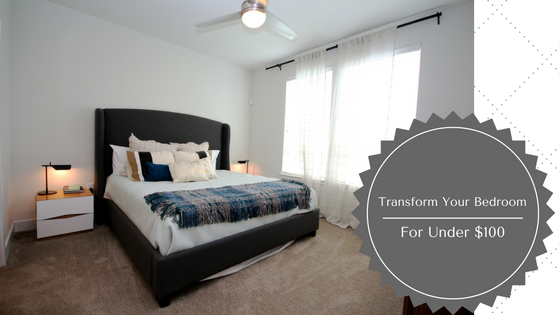 Sometimes we all get tired of our bedrooms, especially when you rent and can’t make major changes. Apartment Therapy has a lot of suggestions for interior design decor on a budget. For wall decor, if your landlord allows you to paint the walls, nothing makes a bigger impact than that. Even an accent wall can make a huge change. If you can’t paint, try temporary wallpaper or wall decals for a non-permanent change. Tufted headboards are an incredibly luxe look for your bed, but they also have an accordingly high pricetag. However, not if you make one yourself using this tutorial from Homemade by Carmona! Need window coverings? How about covering some roller blinds in pretty fabric to match your decor? Covering your closet doors in temporary wallpaper is another great way to make a big impact of color, pattern, and texture without altering your rental permanently and for not much dough. Have hand-me-down furniture in a color or style you don’t like? Repainting or refinishing it is much cheaper than buying new. You can go the extra yard and add new knobs or paint patterns on it for a one-of-a-kind piece. Assuming you are allowed to hang things on the wall in your apartment, adding wall sconces on either side of the bed is saves space and looks super luxe like a high-end hotel. Mirrors are a great way to bounce light around your space and make it look bigger. You can usually find mirrors at thrift stores and spray paint the frame if it doesn’t match. Or make a custom mirror using this tutorial. Finally, sleep like royalty in a canopy bed. This how-to will have you feeling fancy in no time! Need a new apartment to try out your design ideas on? Give Austin Apartment Specialists a call today at 512-241-1111!